IDS has been known for many years as a leading supplier of industrial equipment, and over the course of the last 15 years has rounded out and expanded the current line of IDS Brand Freezers; suitable for a variety of industrial, medical, scientific and commercial applications. If you don't see the exact freezer you need, we will work with our factory to accommodate your request. IDS began building freezers for our customers who stored pre-mixed and frozen epoxy, and then quickly branched out to supply laboratories, hospitals, clinics and clinical trial study sites and their providers. We can help you dispense that too! Visit our Parent Company's website below or ask your IDS representative about your application when you request a quote. To Open an Account: First orders will always be processed as soon as possible, but bear in mind that we don't get immediate responses from the companies to whom you refer us for references. Credit Card orders are the fastest way to get a build started. If you do submit a PO with credit for a new account, notify your references! IDS customers include fortune 500 companies to small shops, from A to Z: Apple, Avail, Boeing, Cannon, Dell, Kodak, Flextronics, Florida State University, GE, General Atomics, General Motors, Harvard, Harmon Automotive, Hitachi, Hewlett Packard, Hughes Medical, IT&T, Intel, JBL, Jet Propulsion Labs, Johns Hopkins, Lawrence Livermore Laboratories, Lockheed, Mass General, Medtronic, Motorola, Ohio State, Raytheon, 3M, and many, many more. 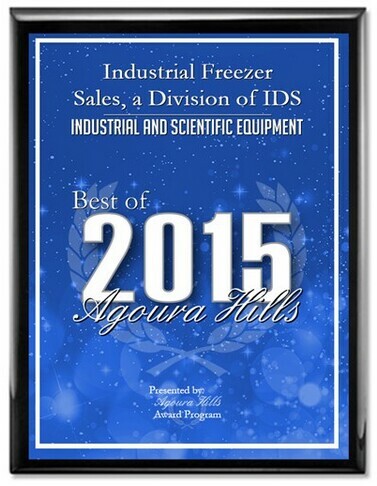 For assembly and scientific freezer and refrigerator applications, parts testing, bearings, mixed adhesives or prepreg applications, please consider our line of industrial, scientific and general purpose freezers and refrigerators.